Elected and appointed members provide leadership, inspiration and direction for the spiritual and temporal affairs of the larger parish family. The Council assists the pastor by advice and actions in management, supervision and promotion of the parish and its development. 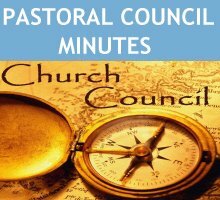 Click Here for a copy of the latest meeting minutes.. Appointed members advise the pastor on the annual budget, investment strategies, disbursements for projects and, by Diocesan law, must review and approve the annual report. 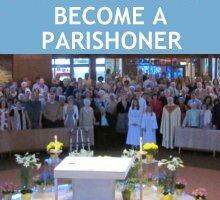 Members are appointed from various parish committees and boards to take the recommendations of the Pastoral Planning Team of the Diocese of Erie and apply them to the parameters of the life of our parish in such a way that we maintain our vitality while preparing for future ministry needs. The Liturgy Committee plans, prepares, implements, evaluates and educates about all aspects of the Church’s liturgy so that the parish family can fully, actively and consciously worship. It ensures that parishioners have opportunities to deepen their faith through a variety of prayer experiences and liturgical celebrations. It’s also charged with creating an environment that reflects the seasons of the church year. Following the reception of First Communion, interested students are trained to be altar servers for the weekend liturgies. It affords an opportunity for students to take a more active role in the community as well as teaching them something about the Mass and being faithful to an assignment schedule. Click here for the most current schedule. The Word of the Lord is meant to be shared with others and our Lectors fill that role at the liturgies at Good Shepherd. Training sessions are conducted at various times in the year in advance of the creation of the seasonal liturgical ministry schedules. We welcome our Confirmation students to consider this service to the community as well as any adult who is interested. Click for a list of our Lectors and the latest Schedule. This ministry was opened up following the Second Vatican Council to train and enrich members of the assembly to serve the wider parish family by bringing the Eucharist to the sick, and perhaps more visibly, assisting in the distribution of communion during the celebrations of the Eucharist. 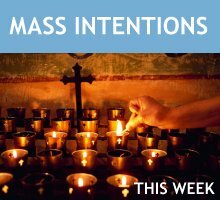 Following training sessions, these women and men are scheduled for weekend liturgies and assist in the preparation and purification of the vessels used at Mass. 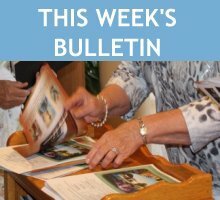 Click for a list of our Eucharistic Ministers and the latest Schedule. The Choir and Cantors are trained by our Music Minister and support the weekly prayer of the community with music and song. There is regular practice involved at the direction of the director of music. 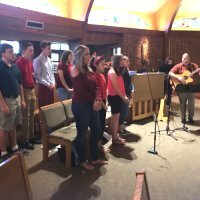 A Contemporary Music Group has recently been formed made up of young adults to lead the music at the 11:30 AM Sunday Mass on a rotating basis. For the weekend liturgies, there are teams of people who welcome the assembly, pass our music aids and facilitate the collection and the procession of gifts. They also secure the church at the end of services. 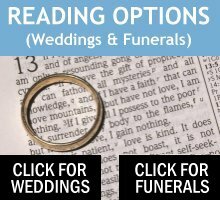 Click for a list of our Ushers and Greeters and the latest Schedule. This is a service group made up of junior and senior high students. Under adult supervision, they provide occasional assistance for parish programs, service projects to the elderly and needy, and are available for other activities. We value keeping our church and grounds looking good. Putting our parishioners in the best environment for prayer and worship will always be our main goal. This is the normal process that adults participate in to become full, participating and active members of the Catholic Church. Lots of people today are searching for ways to meet their spiritual needs and become affiliated with a parish family. This is the way we accomplish that at Good Shepherd. With a team of parishioners, those who are inquiring about the faith join in discussions and presentations designed to familiarize them with various aspects of the Catholic faith. Usually beginning in the Fall, the program extends to the Spring, with the celebration of the Easter sacraments. Click here for more information. 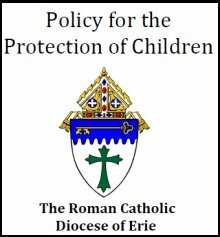 The religious education curriculum for the Diocese of Erie is organized first by grade level, and then within each grade level there are several sections which outline important parts of the whole. Each grade level identifies the overall goal that each grade hopes to achieve. This is significant and important. All of the objectives that are assembled in the various sections of the curriculum are organized to achieve this goal. Click here for more information. The Mens Club is a fraternal organization for the men of Good Shepherd Parish. It promotes the spiritual welfare of the members and provides fellowship and service to the parish. They sponsor a Steak Fry annually in July, do dishwashing duties for funeral luncheons and parish and Altar Rosary Society dinners and volunteer to help Spring clean the parish grounds when needed. The Altar Rosary Society is open to all the women of the parish. The society promotes the rosary, the spiritual life of the women of the parish and oversees the needs of the altar. They sponsor fundraisers and support parish and community functions and contribute to community needs. 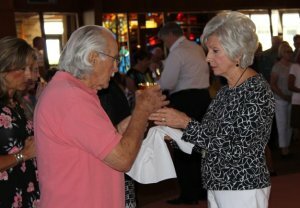 Pre-Cana is a necessary class for all engaged couples that wish to be married in the Catholic Church. The West Middlesex area churches collaborate to offer vacation bible school each summer. The program is held a a different local church each summer the dates and times change each summer. Please check back in May for more information. Each year on the Third Sunday of Advent our religious education students and teen shepherds participate in the Blessed Christmas tradition. Grades one through six put on a Christmas play. Teen Shepherds grades 7 -11 host a luncheon immediately following the play. All are welcome to attend.